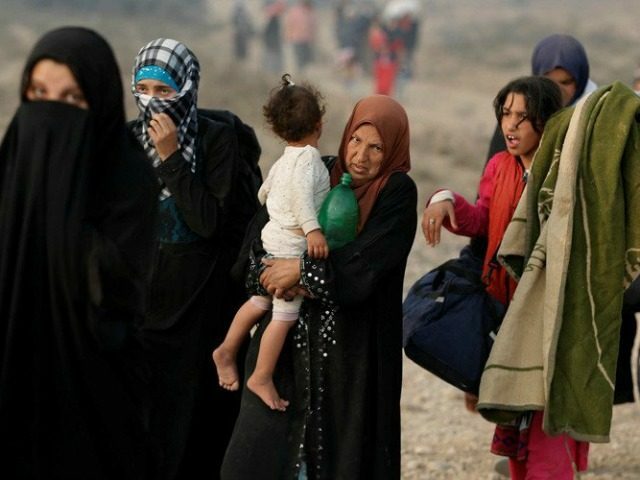 Islamic State (ISIS/ISIL) jihadists have reportedly captured 25,000 civilians from northern Iraq to serve as future human shields in the latest desperate effort to prevent the advance of tens of thousands of U.S-backed Iraqi troops. ISIS has already been using civilians as human shields as the Iraqi alliance inches closer to Mosul, Iraq’s second largest city and the last major ISIS stronghold in the country. The terrorists are transporting the tens of thousands of civilians in buses and trucks from the west side of the Sharqat precinct in Salahuddin province to Hawija in the province of Kirkuk, where they had their food and identification documents taken from them. Kirkuk is located an estimated 108 miles southeast of Mosul and the Sharqat region in Salahuddin province. In an interview with Iraqi News, Ali Al-Dawdah from Iraq’s municipal office said the authorities confiscated the victim’s IDs to hide their real identities. “Kurdish authorities must immediately put an end to unlawful destruction of civilian property and forced displacement,” declared Dawdah. “The brazen raid on Kirkuk appeared to be an attempt by [ISIS] to divert attention from Mosul, where a major offensive is underway to retake the city from the jihadists,” added the official. According to human rights group Amnesty International, hundreds of family have been pushed out of the Kurdish-controlled city of Kirkuk, the capital of the province of the same name, in apparent retaliation for a recent ISIS attack. Hundreds of Sunni Arab residents, including many who fled fighting and insecurity in nearby governorates, have been expelled [by Kurds] from Kirkuk. 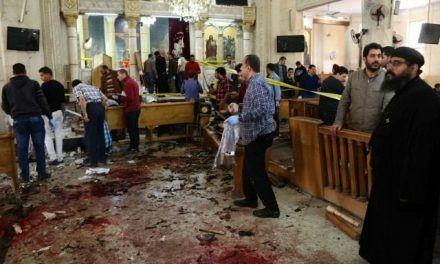 Many have been ordered to return to their places of origin or have been confined to camps after being suspected of assisting IS to co-ordinate the attack. At least 190 families were also forcibly displaced by Kurdish Peshmerga and Asayish forces from the Qotan and Qoshkaya villages in the Dibis district of Kirkuk governorate. Many Iraqis have been displaced by the ongoing offensive to liberate Mosul from ISIS. A U.S.-backed force of tens of thousands of Kurdish Peshmerga, Iraqi Security Forces, Sunni tribesmen, Shiite militiamen, many backed by Iran, and Christian militias is advancing towards to the city. Iran-backed Shiite militias, Sunni tribesmen, and now Peshmerga troops have been accused of sectarian brutality.